Bluenib Web and Graphic Designs is a company that specialises in Logo Design, Poster Design, Brochure Design, Business Card Design and recently Website Design. We have been designing for small business and organisations in Cape Town, South Africa since 2010. Our services are highly affordable and we pride ourselves on providing our clients with good quality work. What makes Bluenib | Web and Graphics so unique from it's competitors is that we offer Graphic Design students an opportunity to intern with us. We also offer a 10% commission to those individuals who refer a paying customer to us and a 5% commission if the customer continues to use our services. If you know someone that's in need of our services please do not hesitate to Contact Us. 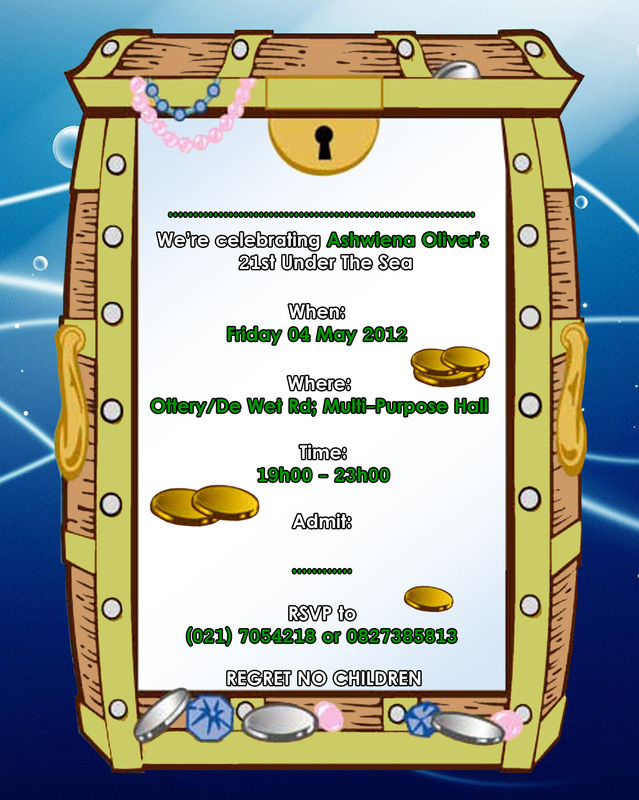 The above was a 21st invitation Bluenib | Web and Graphic Designs designed for the daughter of one of the lecturers at TSiBA Education. 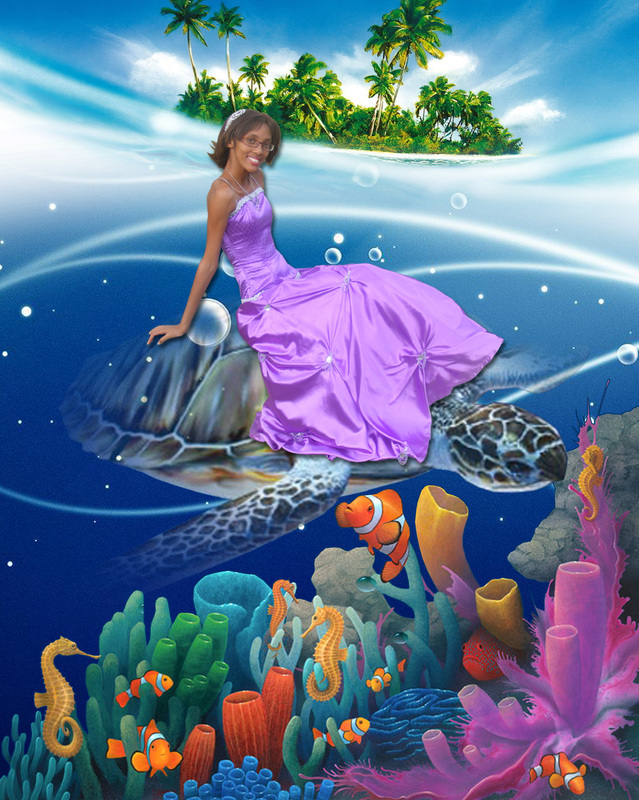 The theme that we worked with was "live under the sea" that is why we have the lady on the back of a sea turtle and different sea life around them. We do not specialize in brochure design but if someone is in desperate need of a brochure we will go out of our way to design one for that person. This brochure we designed for a company called T-Bag Designs from Hout Bay, South Africa.